HOLLYWOOD—Expressing their immense personal satisfaction at the gathering appearing on their television screens, millions of Americans across the country were reportedly delighted Sunday night upon seeing many famous people in the same room together. 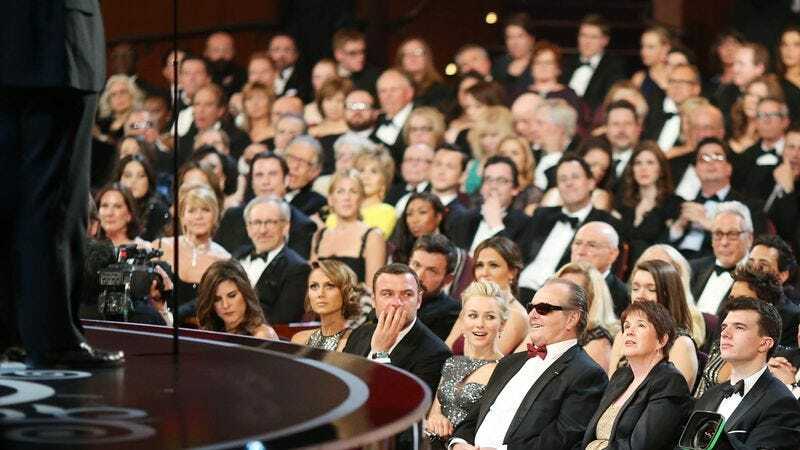 “I like seeing famous people, but I like it even better when I see a whole bunch of famous people all near each other in a big room,” said Philadelphia resident Cathy Parker, who further explained her gratification at witnessing numerous famous people talking, smiling, and clapping in the general proximity of other famous people. “Look how close they are. There’s so many different ones. I like when one stands up and goes up the stairs and starts talking. My favorite is when one famous person says something that makes the other famous people laugh.” At press time, the nation was reportedly feeling happy after watching the famous people having a good time.